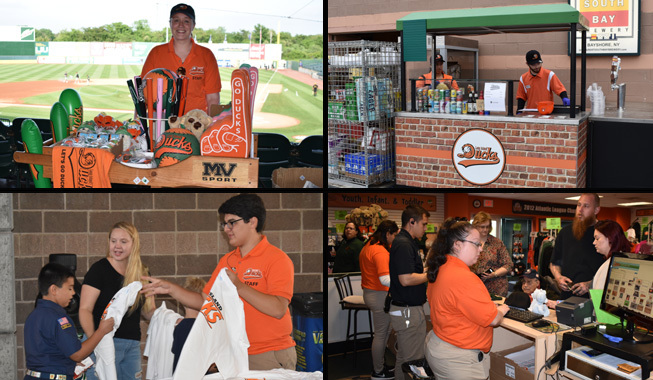 (Central Islip, N.Y., Feb. 7, 2019) – The Long Island Ducks today announced the organization’s annual Job Fair will take place on Saturday, March 2nd, at Bethpage Ballpark. Candidates will be able to submit applications and interview for game day, concessions and promotional staff positions during the 2019 season beginning promptly at 10:00 a.m. Applicants will be able to interview for various game day staff positions, including concessions, ushers, security, ticket takers, merchandise, parking lot attendants, box office assistants, bat boys, clean team, and grounds crew. Opportunities to join the Ducks promotional staff are also available. Applications will be accepted for positions such as camera operators, music coordinator, team mascot, and video board operators. On-field host and public address announcer tryouts will be announced at a later date. Applicants for all positions must be 16 years of age or older. The organization will accept applications until 1:00 p.m. on March 2nd, and those in attendance at the Job Fair will receive first consideration for employment during the 2019 Ducks season. Candidates wishing to print and fill out an application form in advance to bring with them to the Job Fair may do so by CLICKING HERE.